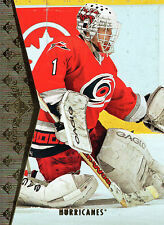 Arturs Irbe 14/15 UD SP Authentic 94/95 SP Retro #94-74. Arturs Irbe 2014/2015 Upper Deck SP Authentic 94/95 SP Retro #94-74. 2013-14 Upper Deck SP Authentic Retro Singles #1-60 - You Pick!